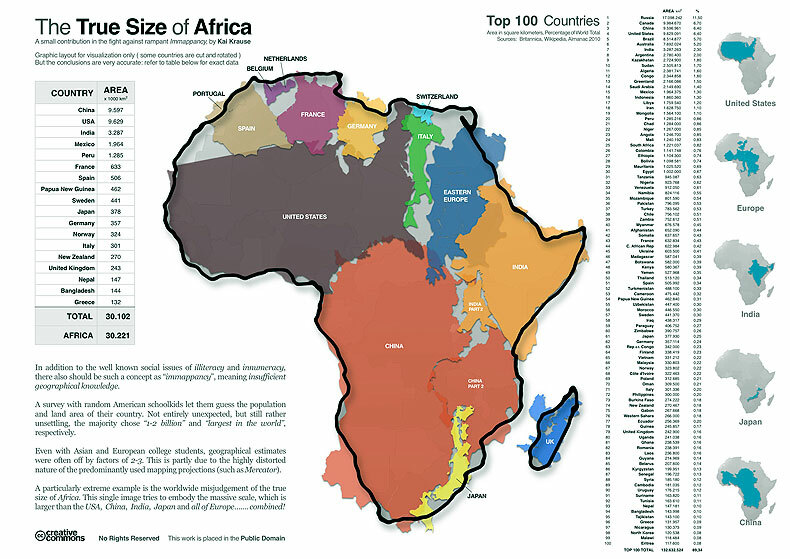 I discovered recently an interesting overlap map, showing the real dimensions of the African continent. Our colonial ancestors modified "a bit" the immensity of the newly conquered and exploited continent. It is an obvious attempt to exaggerate the importance of their European homelands. How pathetic! But even this illustration is incorrect. Because the fourth biggest island on the planet, Madagascar (587,713 km2) is more than twice bigger than the eighth – Great Britain (209,331 km2). How little we know and how absolutely wrong is our perception of this beautiful island, which looks like a little spot under Africa on our maps! There are so many amazing facts about Madagascar. But I will not take your time here with statistics. 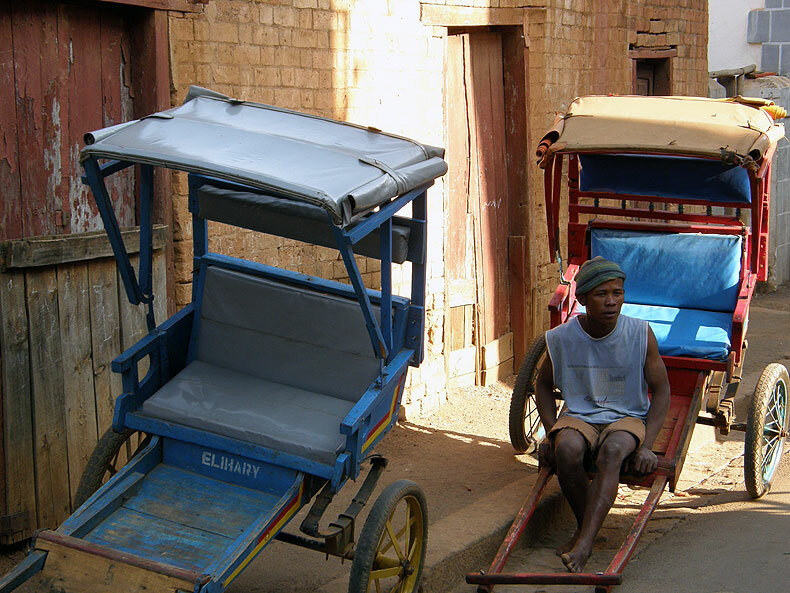 What you should know in advance yet is that Madagascar is not an ordinary island. 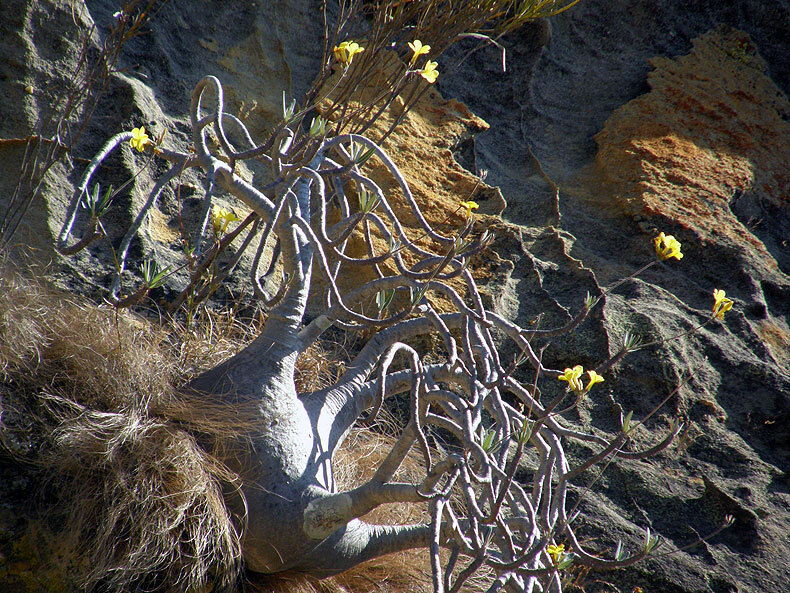 It has been separated from the rest of the prehistoric mega-continent Gondwana 160 million years ago. The fact that the first Austronesians reached the island around 250 AD makes Madagascar one of the last places in the world invaded by human race. When I say, "invaded", that is quite literal. The most ruthless predator on this planet – the human, exterminated large part of the unique endemic creatures of the island. Since his arrival, man destroyed up to 80% of the island's forests to gain land for rice production. 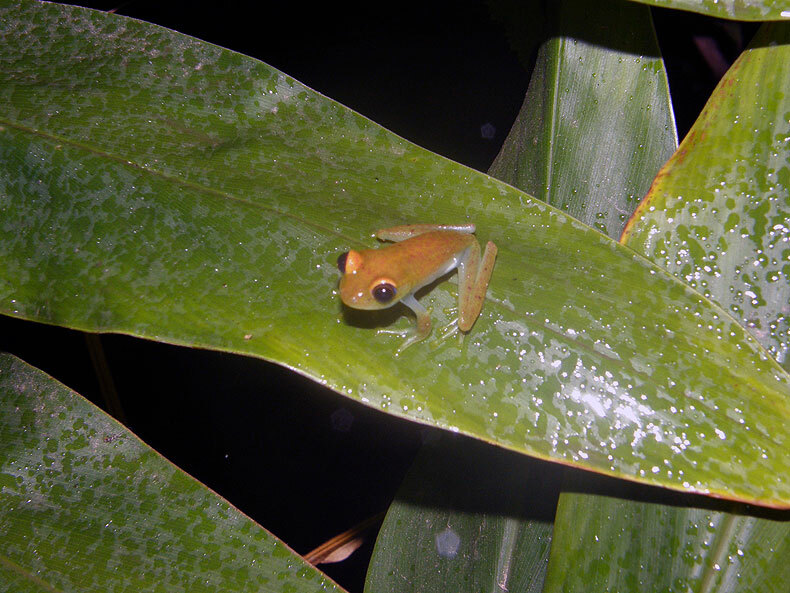 Yet here we have one of the best-preserved rain forests, and most of the plants and the animals are endemic. This is the land of the lemurs. 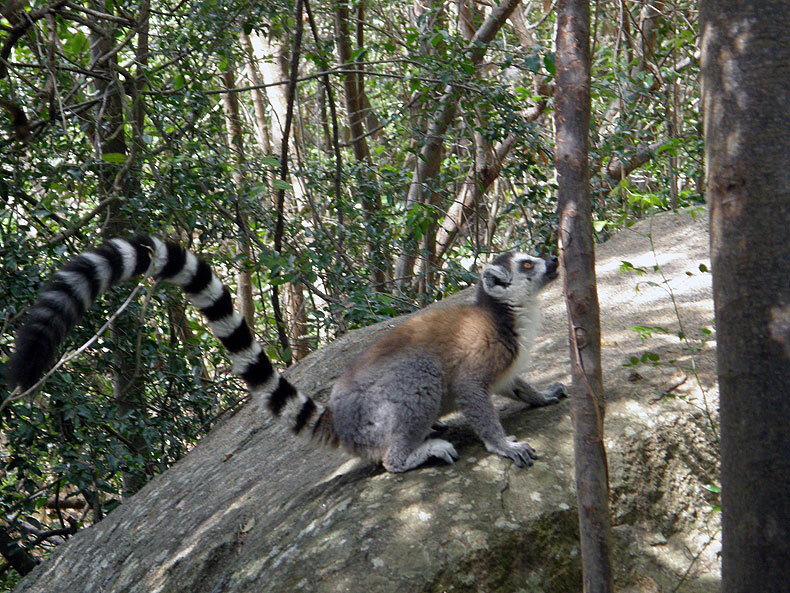 Because of the lack of monkeys, more than 100 species of lemurs live in peace as the country's landmark. Well, they were much more, but humans exterminated the biggest species and subspecies. It was the faith of all large animals like the elephant birds and giant fossa (a mongoose like mammal). 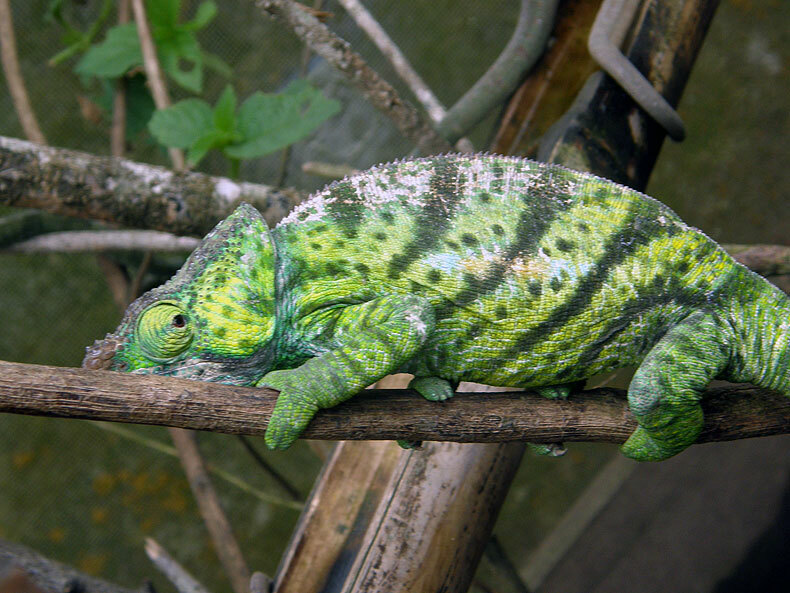 Madagascar is the homeland of another two iconic species – the chameleon and the baobab tree. 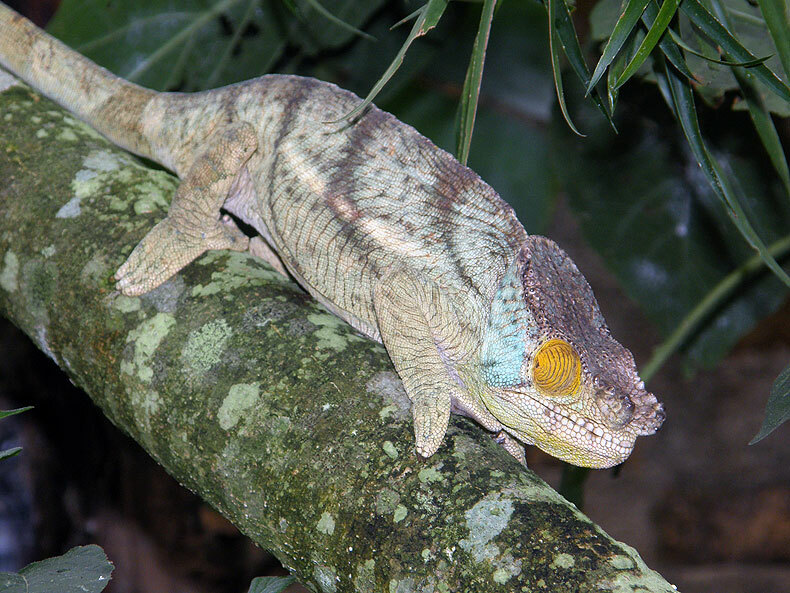 Two thirds of all chameleons on the planet live only here and six out of all eight types of baobabs exist only on this island. A unique paradisiacal land, so big and so different from anything else, that some call it the eighth continent. The first Austronesians from Borneo mixed with Bantu newcomers from Mozambique in an amazing cultural mix of people with rare beauty. But let me tell you about our trip. 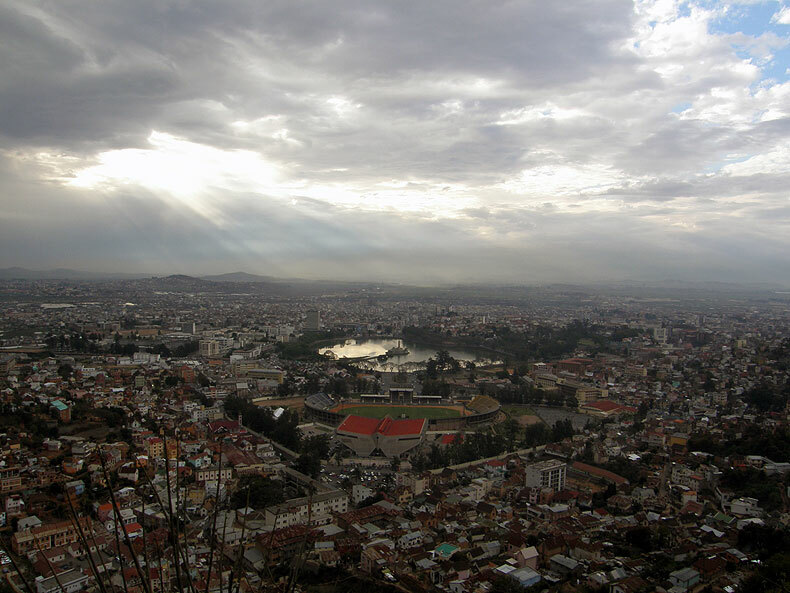 It consists of two parts after arriving in the capital Antananarivo (locals use as well the French short name Tana). The first part was dedicated to some of the main National Parks, where we enjoyed observing the rare species of animals and plants. 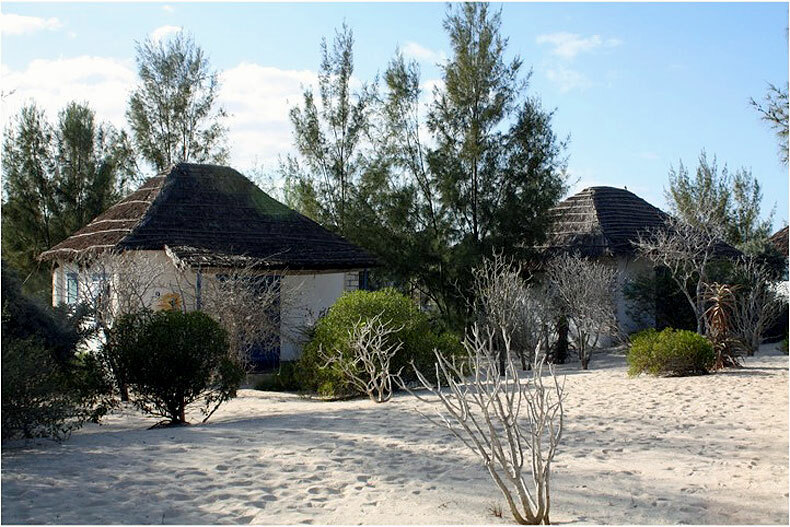 The second part was a relaxed stay on the coast of the Indian Ocean with its long, white-sanded beaches. Our first destination is the Perinét National Park. All along the journey, except at Tana and Antsirabe, we stayed at eco-lodges and bungalows. Most were not too luxurious, but quite comfy and charming. Don't forget to put a torchlight in your luggage. In these places people use generators to provide electricity, which is switched off after 10 pm. A torch is also what you'll need for the night walk in the forest the first day at Perinét. 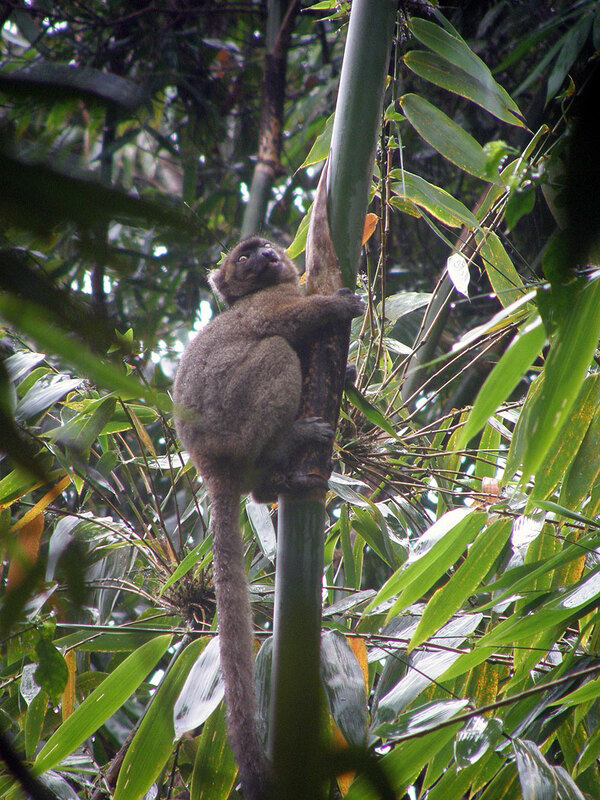 Here and in the small private reserve Peryera we saw the first lemurs. Being so close and touching these amazing creatures is the most sensational experience I had in Madagascar. 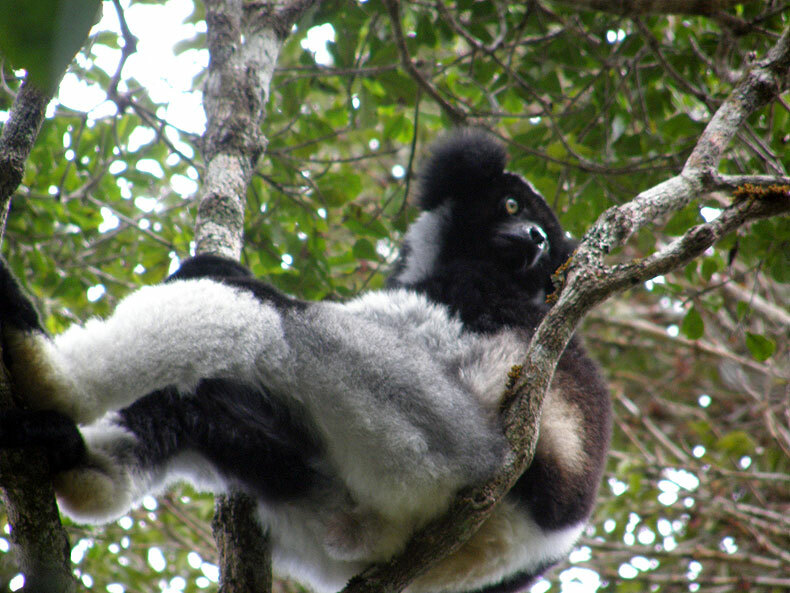 Perinét is the home of the largest lemur – the mighty Indri. You can hear their love cries similar to the sounds of the whales. Perinét (or Analamazaotra Special Reserve) has one of the best-preserved forests on 155 km2. 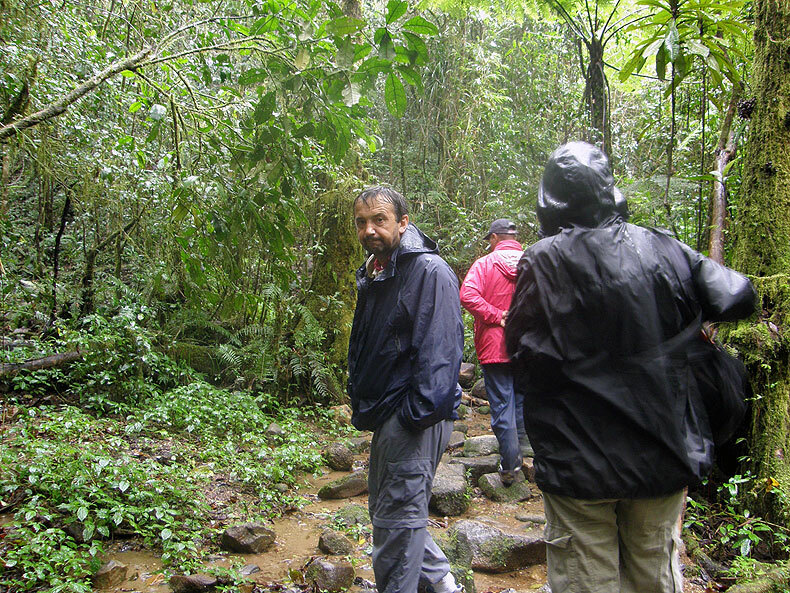 Speaking about rain forest, don't forget to bring a raincoat, long trousers and light hiking shoes. Annually, there are over 200 rainy days in these forests, making them home of all kinds of insects and leeches. So, no shorts and sandals! We had a short stop at Antsirabe, a town created by Norwegian missionaries for its fresh temperatures at 1,500 m of altitude and the thermal springs. Next main goal is the Ranomafana National Park - one of the most important reserved areas on the island, named UNESCO World Heritage Site. 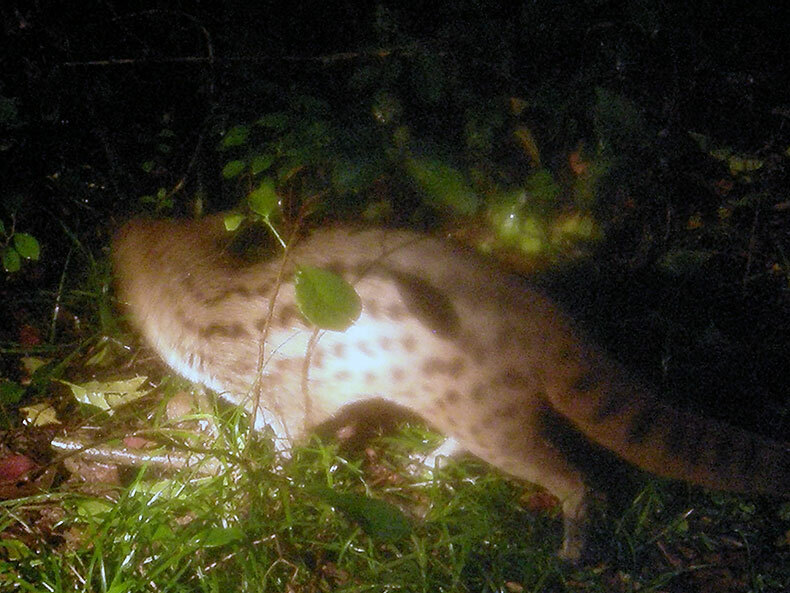 Apart from the lemurs, this is the first time we saw the unique fossa or Malagasy civet. I can only imagine how the exterminated giant fossa must looked like. The Golden Mantela is a tiny but venomous 3-centimeter long frog, similar to the South American poison dart frogs. 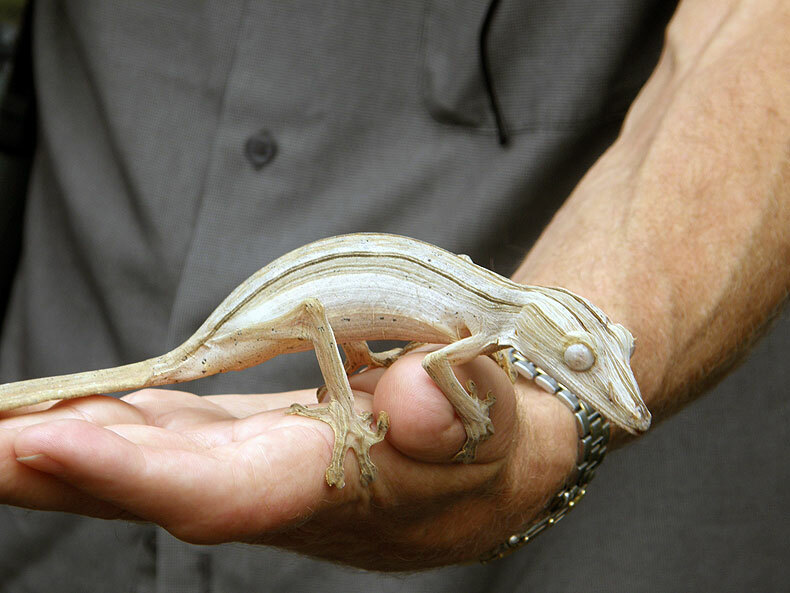 It is the most endangered of all Madagascar species. 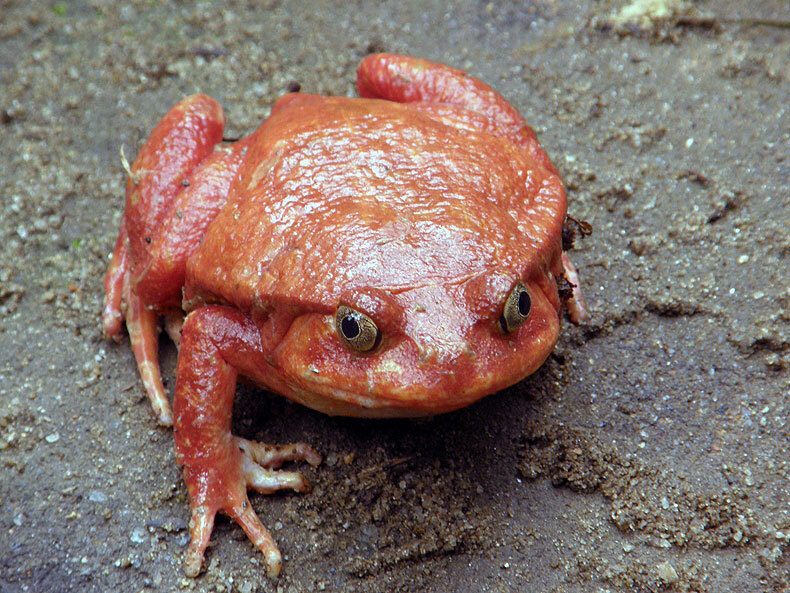 Like the Tomato frog, the venom their skin produce when they feel attacked can't kill you, but it may cause allergic reaction. Once again – long sleeves, long trousers and good shoes in the rain forest! Our hotel, Chez Gaspard with its modest looking bungalows happened to be quite nice. And there was Wi-Fi, something not so common in Madagascar. There is a mineral water pool in the nearby village of Ranomafana, so we took our swimming suits out of the luggage for the first time. The Isalo National Park is the last big reserved area (815 km2) we visited on our trip. We were already in the grassy plains of the western part of the island. 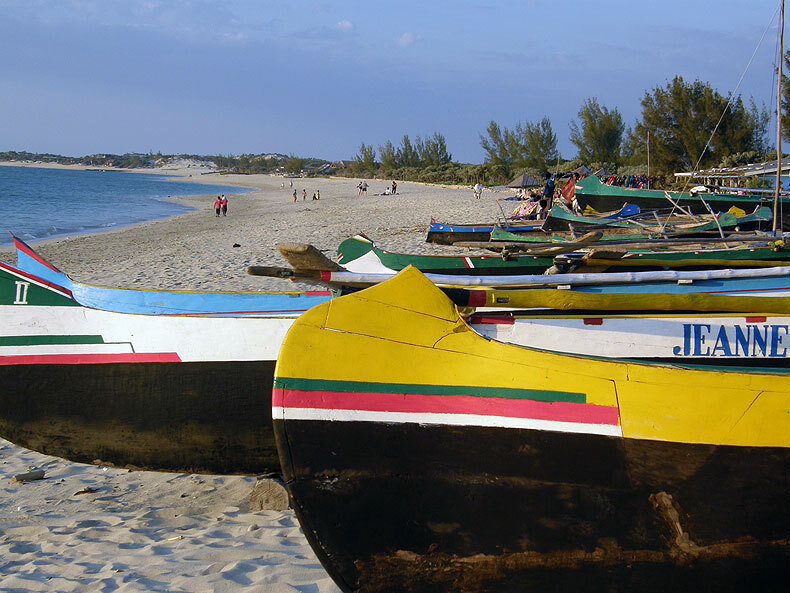 If you are a francophone, you will find it easy to communicate with people in Madagascar since French is a second official language. But there is a "dark" legacy left by over 60 years of French colonial rule – crappy hotel breakfast. If you are familiar with the hotels in France, you know what I mean - just a simple croissant with your coffee. We had only a couple exceptions of this rule on our trip. 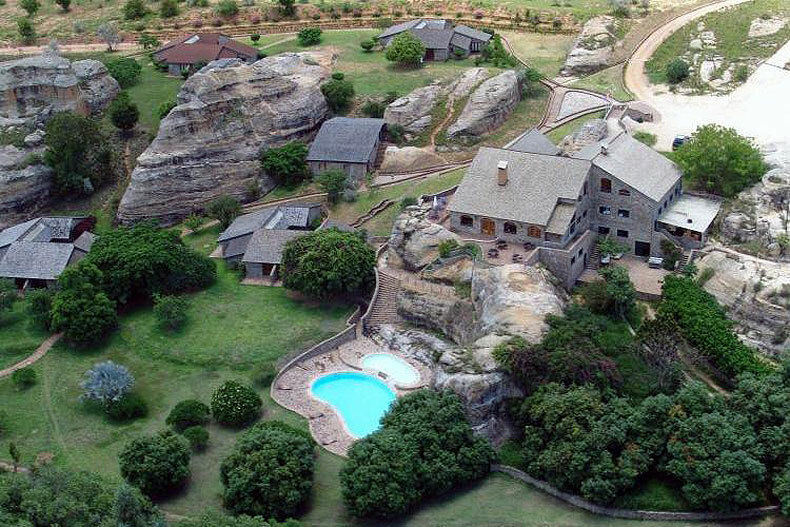 And hotel Relais de la Reine, near Isalo was one of them. It was the nicest place we stayed on the island. The hotel organize a visit to the nearby open sapphire mine in the nearby town of Ilakaka. It is a spectacular experience. 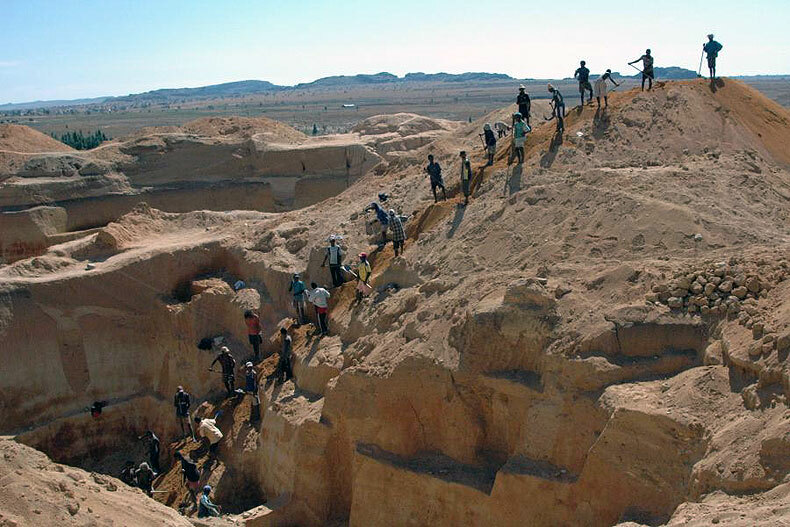 You should know that Madagascar produces half of all sapphires on the planet. 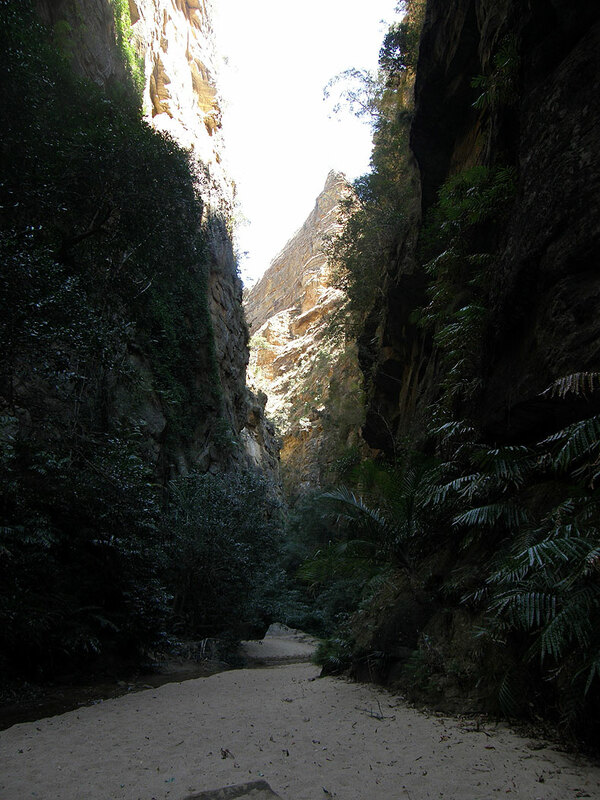 The Isalo National Park covers a large sandstone massif that has eroded over time by the 17 rivers running through it to form picturesque canyons, plateaus and valleys. It is a heaven for hikers. It is required to hire a local guide to enter the park and you can follow different trekking routes from few hours to a week. The landscapes in Isalo are otherworldly. 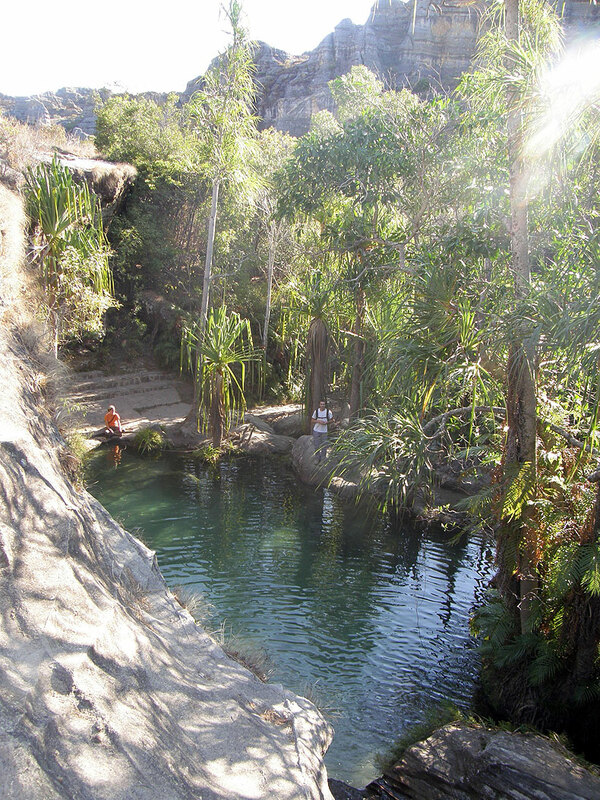 From rocky canyons to palm lined oases with waterfalls and natural pools. 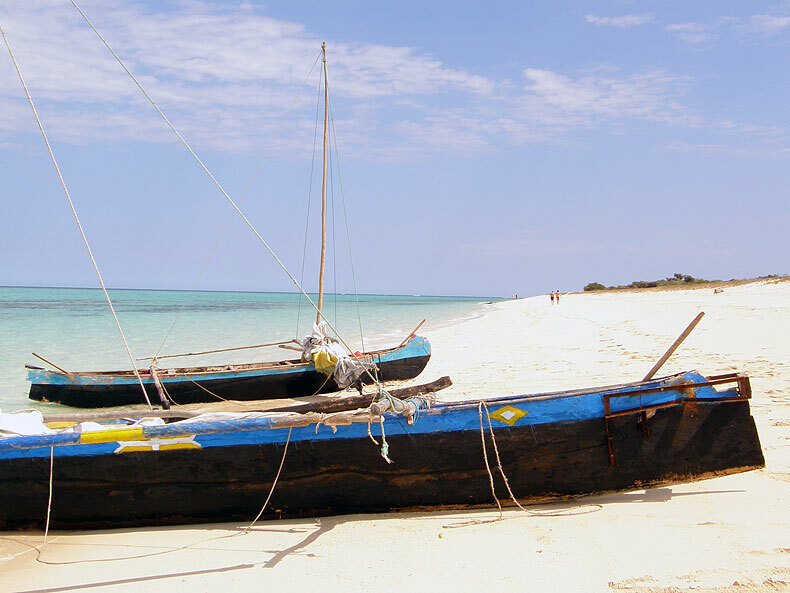 On the 10th day of the trip we headed to the harbor town Tulear (or Toliara) on the West coast of Madagascar. 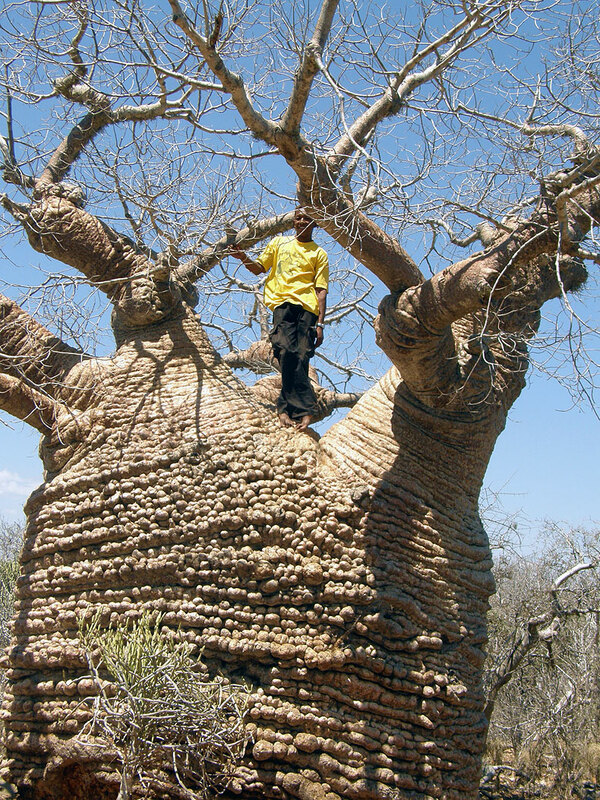 On the way we saw some of the biggest baobab trees in the region. We didn't go north to the famous Allée des baobabs, but the trees we saw were massive. 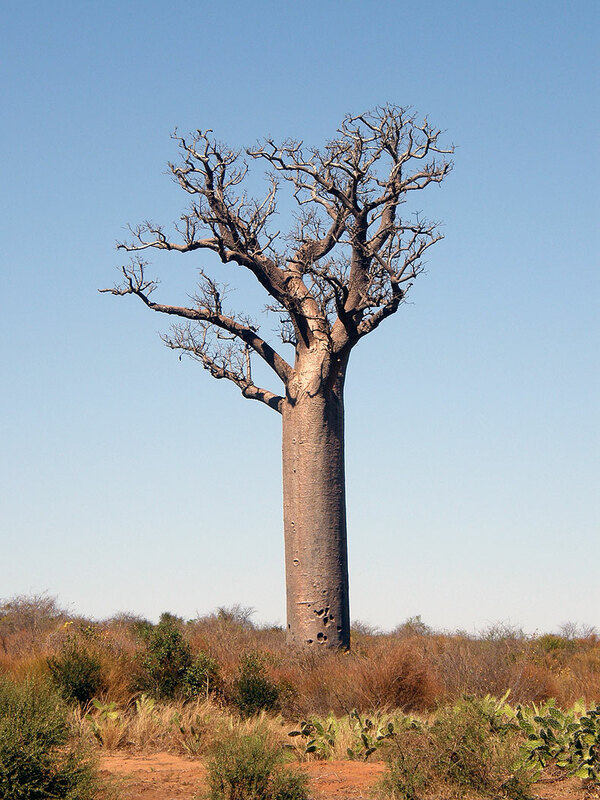 Baobabs stand in the fields like giant lone warriors. Once deciduous forests surrounded them. But the forests were burned and slashed to open space for rice paddies. 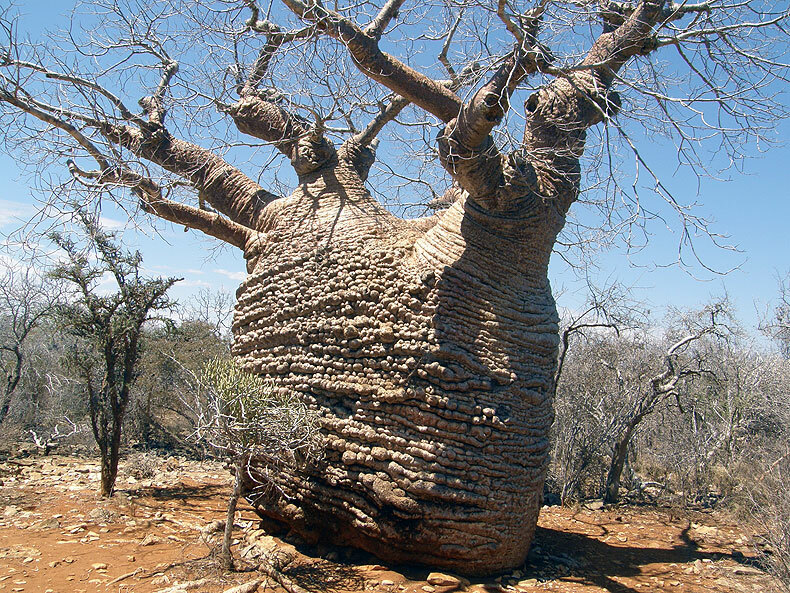 Because baobabs are not a good construction material and don't burn well, they were left. Today they stay as a reminder of human ignorance and self-destructive greed. The next day we crossed the bay south of Tulear with a boat to the Anakao peninsula and the small fishing village Vezzo. 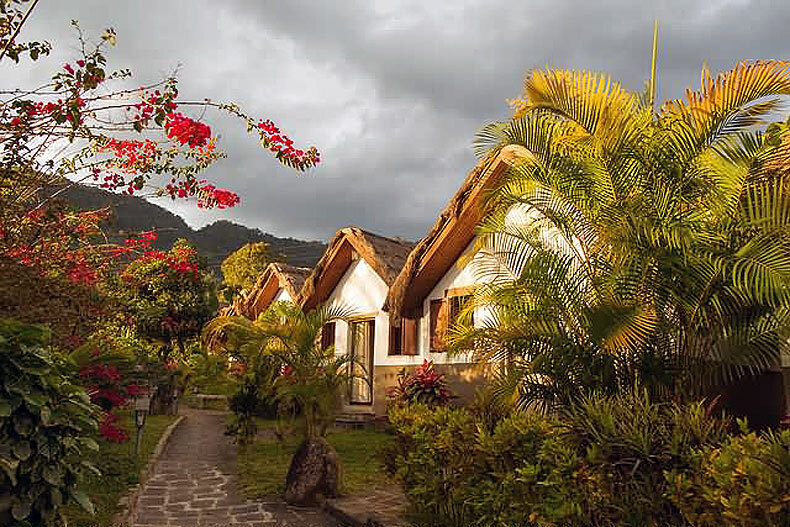 Our hotel, The Prince Anakao is far from royal luxury, consisting of simple bungalows full with a selection of local insects. But, hey, who cares about comfort when you sleep on the white sandy beach just steps away from the ocean and eat fresh fish in the village! There's a tiny stripe of sand just across the beach, called Nosy Ve Island. On the second day we took a boat to Nosy Ve and spent some time picnicking and bird watching. 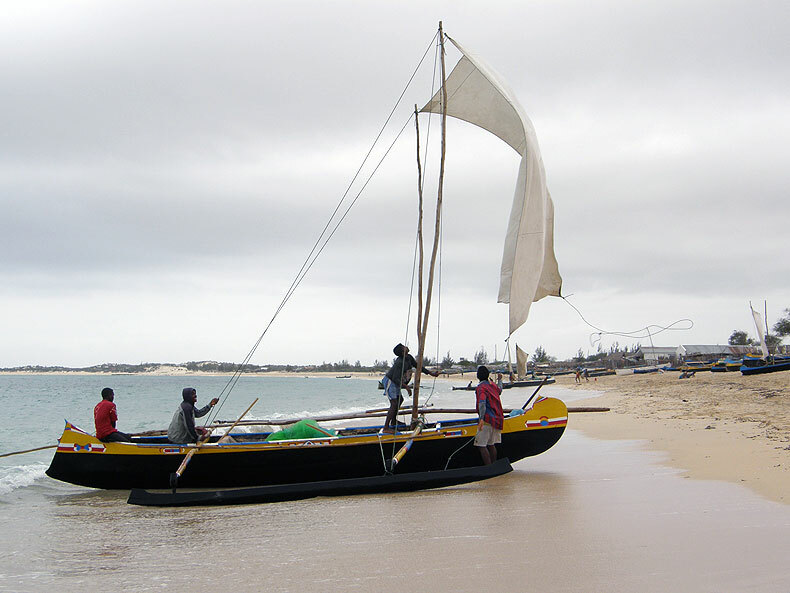 At The Prince you can hire a pirogue, windsurf or snorkeling equipment. My advice is to bring your own mask and snorkel, since you never get the right size. Or you can visit the Anakao PADI club – Atlantis (http://www.atlantismadagascar.com). 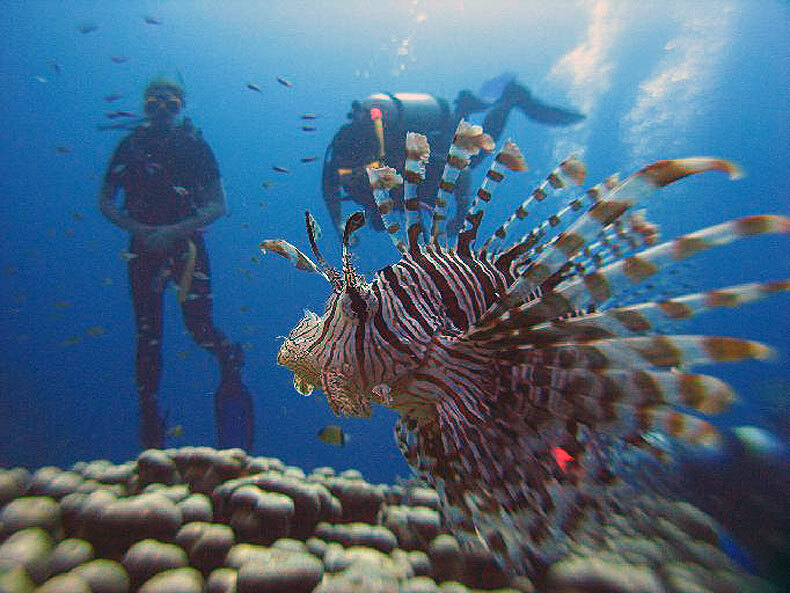 We wanted to go for diving and this was quite an experience! After all wildlife in the parks, we enjoyed exploring the wonderful underwater world of corals, anemones, clown fish and all kinds of flora and fauna. That was a great last day experience. Leaving Madagascar I was both excited and sad. Having the chance to see the unique creatures and plants transported me in Conan Doyle's "Lost World". One can't imagine how different the wildlife on this huge island is from everything we have ever seen. Yet I was sad. I saw the results of long years of human stupidity devastating this island, rich in resources. For decades, because of the corrupted postcolonial governance of the country, Malagasy are one of the poorest nations in the world. As a matter of fact, the National Parks we visited are like islands of eco-balance. They are surrounded by land, exhausted by centuries of slash-and-burn agriculture and rice production. Today on the deforested lands apart of rice people plant huge fields of sisal. It happens to be the best and cheapest plant for the production of biodegradable eco-packaging. How ironic! Instead of helping Madagascar in the restoration of the original forests, we once again exploit the island for our fashionable "green" hypocrisy. But I'll try to remember Madagascar for its beauty. 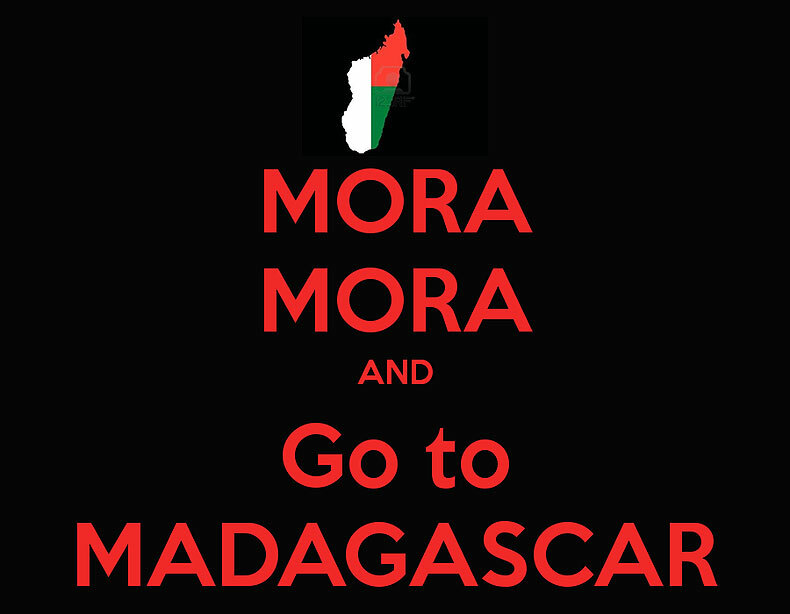 And the fact that the poorest nation is one of the happiest, declaring their island as a land of "mora-mora", a Malagasy phrase meaning to take life slow.